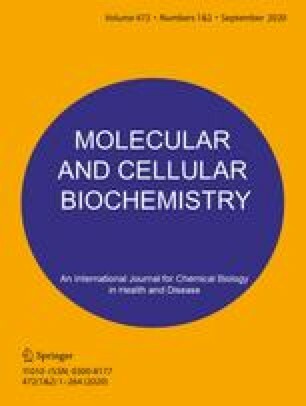 The present study investigated the protective effect of DL-α-lipoic acid on the tissue peroxidative damage and abnormal antioxidant levels in cyclophosphamide (CP) induced hepatotoxicity. Male Wistar rats of 140± 20 g were categorized into four groups. Two groups were administered CP (15 mg/kg body weight once a week for 10 weeks by oral gavage) to induce hepatotoxicity; one of these groups received lipoic acid treatment (35 mg/kg body weight intraperitoneally once a week for 10 weeks; 24 h prior to the CP administration). A vehicle (saline) treated control group and a lipoic acid drug control group were also included. The extent of liver damage in CP-induced rats was evident from the increased activities of serum aminotransferases, alkaline phosphatase and lactate dehydrogenase; whereas lipoic acid pretreatment prevented the rise in these marker enzymes. We evaluated the changes in activities/levels of tissue enzymic (superoxide dismutase, catalase, glutathione peroxidase, glutathione-S-transferase, glutathione reductase and glucose-6-phosphate dehydrogenase) and non-enzymic (reduced glutathione, ascorbate and α-tocopherol) antioxidants along with malondialdehyde levels in the experimental groups. In CP-administered rats the antioxidant enzymes showed significantly depressed activities (p < 0.001, p < 0.01) and the antioxidant molecules also showed depleted levels (p < 0.001, p < 0.01), in comparison with the control group. However the extent of lipid peroxidation and the abnormal antioxidant status were normalized in lipoic acid pretreated rats. The present work highlights the efficacy of lipoic acid as a cytoprotectant in CP-induced hepatic oxidative injury.